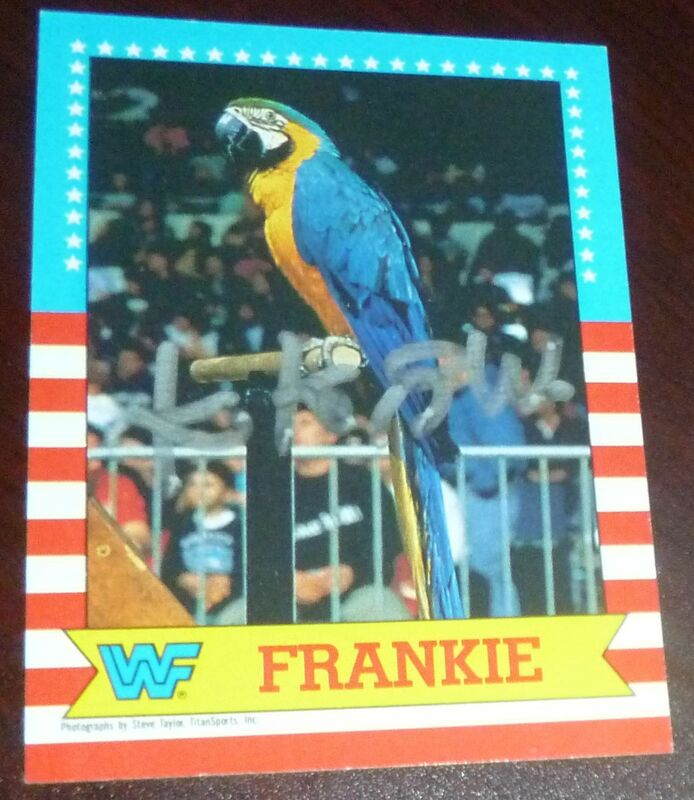 Someone Bought This: WWF Frankie the parrot trading card - WrestleCrap - The Very Worst of Pro Wrestling! I just love that the WWF decided to give Koko B. Ware’s bird Frankie his very own trading card. That just proves how much cooler Frankie was than Matilda. DoTheBirdBirdBird.com. I bet that URL’s not taken! 9 Responses to "Someone Bought This: WWF Frankie the parrot trading card"
If DoTheBirdBirdBird.com IS taken, I don’t want to know what they do there. Is that Koko B. Ware’s autograph on the card? Oh, I get it. Frankie was too big of a star to sign the card himself. Arrogant jerk. He won’t sign autographs, and he demands only high quality bird food… and I heard he’ll only poop on The New York Times. Just like Triple H’s deal. Except he poops only on the Torch or Observer. Did the WWE give us the bird bird bird? 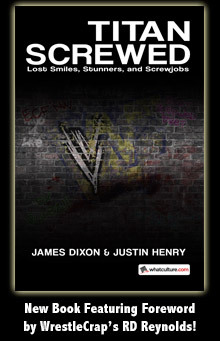 The Royal Rumble 2 years in a row. I actually think that’s kinda cool lol. I heard Koko say at one point that Frankie died in a house fire. If so would that make this card worth a lot today? Someone should consult a price guide.